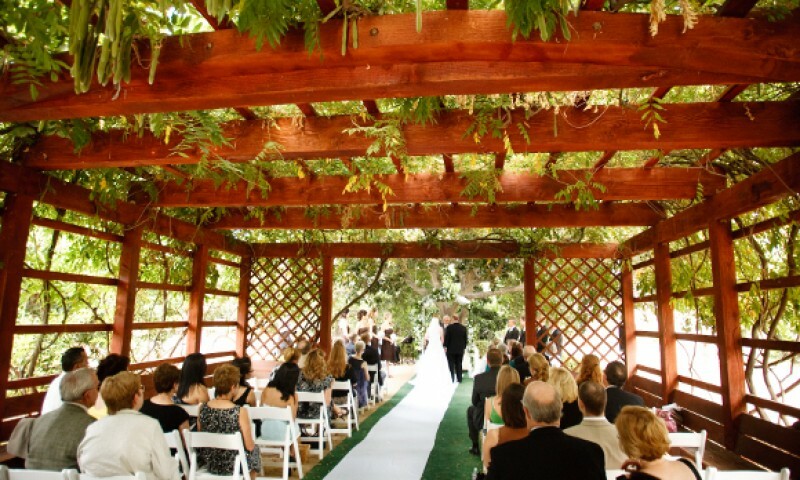 The grounds and facilities at the Fullerton Arboretum are a beautiful 26 acre oasis, and are ideal for weddings, corporate events, and private parties. The Arboretum can generally accommodate groups up to about 350 people, depending on the location. The South Lake, Arbor and Orchard Lawn are all picturesque, popular spots for outdoor weddings, and if you’re looking for stunning photo locations, you’ll find many – including the Arbor, Rain Forest, and Bamboo Forest. The Fullerton Arboretum is a venue we love to cater. It has beautiful and uniquely curated spaces for wedding ceremonies, receptions, and special events.